All Prints will be sent to a professional photo lab for processing. 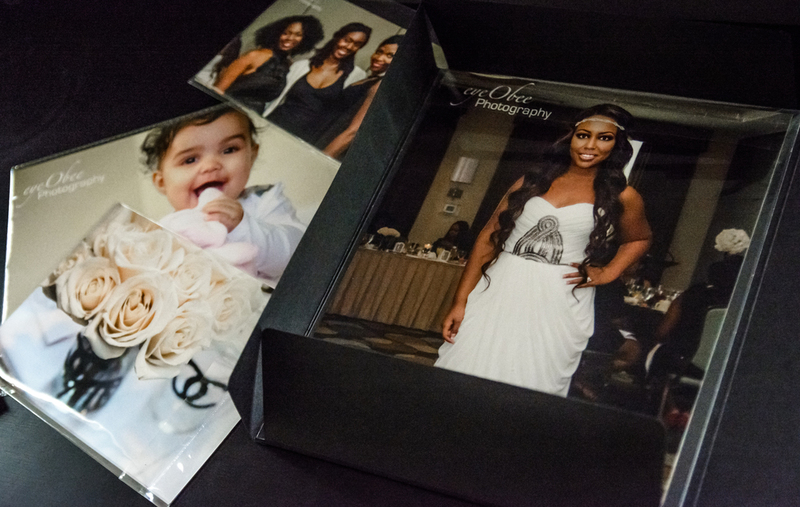 Once, your images are complete they will be sent to you in a stylish boutique packaging. All prints are hand packaged and sealed. It will also include the name of your assembler. You can order prints at anytime from your smart phone, tablet or computer. Lustre - Very durable with a slight gloss and texture. Fingerprint and glare resistant. Glossy - Coated paper with very smooth and reflective surface. Vibrant in color, crisp and sharp details. Modern, solid, scratch-resistant and waterproof/weatherproof. These prints are made to stand the test of time. With it's innovative printing process, your images are infused directly into the metal itself. Creating an image that is extremely durable as it is beautiful. Ditch the frames with this unique float mount hanger. Your images will look like they're floating in midair. Now, you can turn your moments into a one of a kind work of ART, that will stand the test of time.